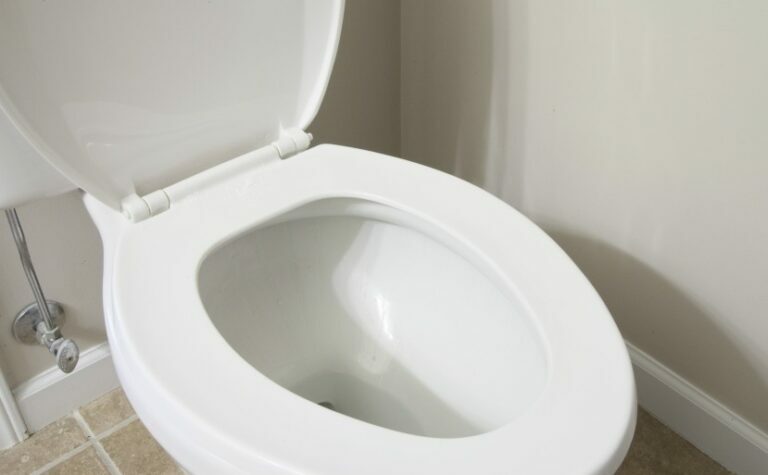 Before you install a new toilet, you’ll want to make sure your water is turned off and the old wax ring is removed from the drain (you can do this using a putty knife). To prep your toilet bowl, gently turn it upside down onto a cloth and lightly press your wax ring over the outlet. Then, insert your closet bolts into the flange on the floor. Line up the cut-outs in the bottom of your toilet with the bolts and lower it down over the bolts and onto the floor. Place the cap base, washers, and nuts on the closet bolts and tighten them down just enough to secure the toilet – you don’t want to crack it. Then, place your toilet caps over the top of each closet bolt. If the bolts are too long for the caps, cut the bolts shorter with a hacksaw. If you have a two-piece toilet, you’ll have to install the tank next. Most new toilets already have the flush assembly and handle already installed, but if yours doesn’t, follow the manufacturer directions to install it before you secure the tank onto the bowl. Install your bolts and rubber gasket on the underside of the tank, then set it down onto the bowl in place and secure it by hand-tightening your nuts. Make sure the tank is level before you tighten down the nuts. Finally, connect your water supply to the underside of the tank and slowly turn your water back on. Check for leaks and make adjustments if you need to. Then, attach the seat using screws and a screwdriver and flush the toilet to make sure it’s working properly and that there are no leaks around the base. Seal the base along the floor line with a bead of caulk and set the top onto the tank.